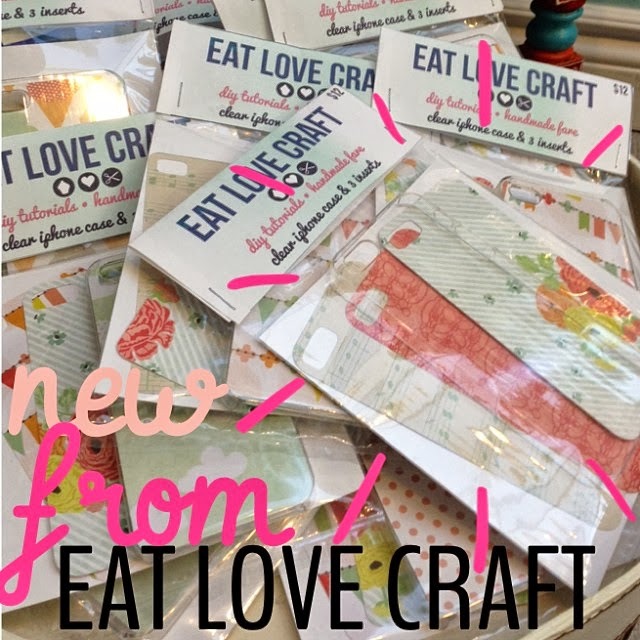 The newest product from the EAT LOVE CRAFT shop! Here is a project I’ve been working on for some time now. I have created these really cute iPhone case kits. What do you think? Comment below! These starter kits come with one ultra thin clear iPhone case and 3 inserts. Each design is made to fit the case and easy to swap out and store. Change your iPhone case often and get it to look super cute without the bulk! There is a total of 5 for iPhone 4/4s and 5 for iPhone 5/5s available now. Each product is $12 and can be shipped. Shipping costs will be calculated after I have ben provided a postal code or zip code. Please leave a comment if you are interested and I will be contact with you for shipping & payment details. On Monday October, 14 2013 Kaamilah Boutique is having an Eid al-adha hennah night. Kaamilah Boutique is a newly opened store which plays host to multiple Muslim-owned businesses in the GTA. I will be hosting a Make & Take for beaded bracelet making from 5-10 pm. Come out, have fun, shop and make a bracelet for yourself to take or make a few to give to your friends as gifts for Eid! 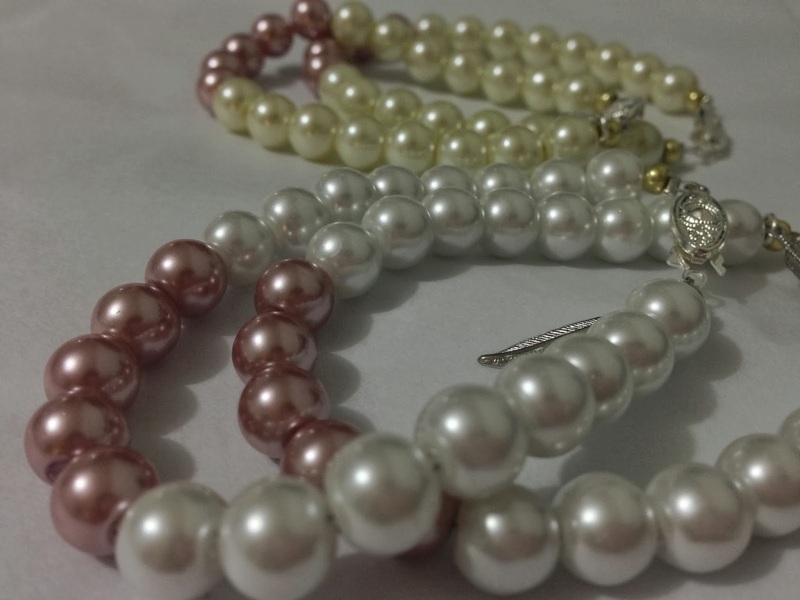 These bracelets will look great on their own or stacked. You can also buy Eid Decor, Halal handmade marshmallows, gummies, artisan soaps which are organic, halal, handmade in Toronto and lots of jewellery, hijabs and clothing. Come out and have a great night out, meet new people and make something! It’s been a while since I mentioned anything about these lovely boxes I keep getting every month. I have to say, the excitement I feel when I get one in the mail doesn’t seem to go away. Each month I get them, I feel the exact same way. 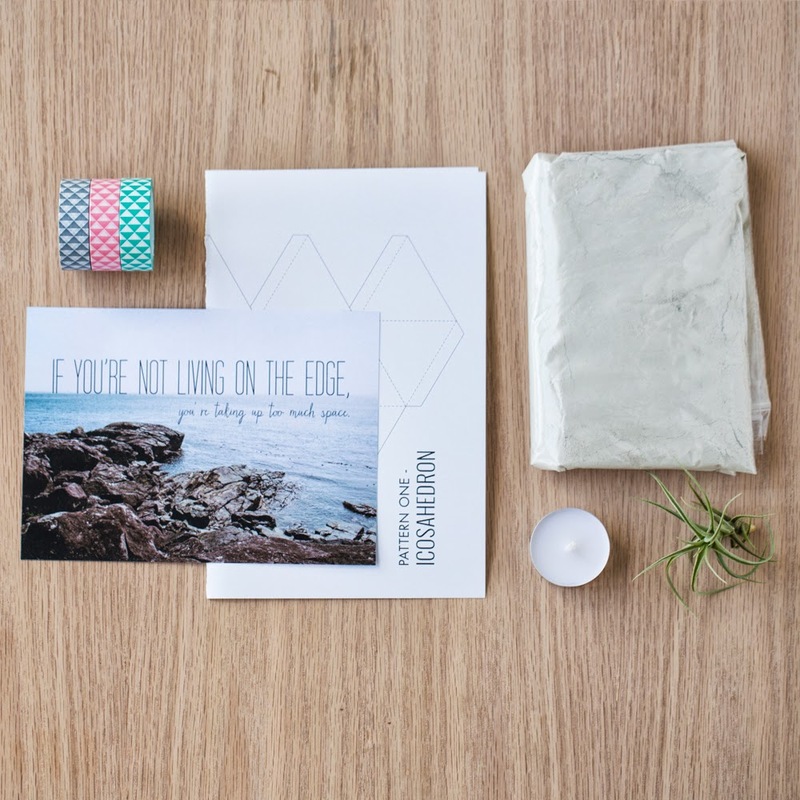 Here are some images I pulled off of the Whimseybox website for a peak. I will be posting detailed images with what a list of what exactly is included in each box in separate posts. 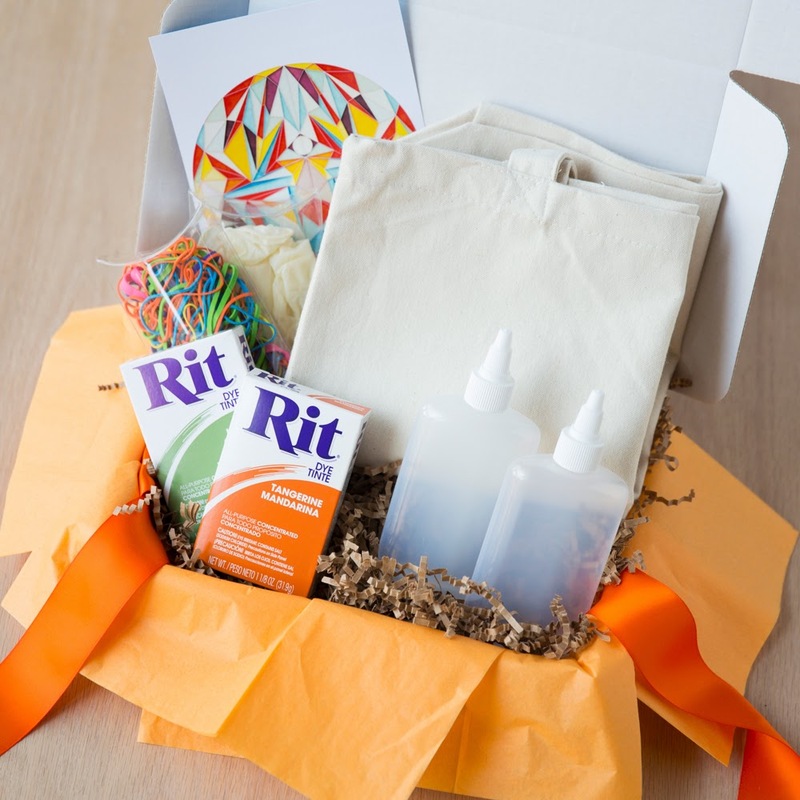 Here are pictures of what comes in the Whimseybox every month. These range from May 2013-September 2013. I haven’t had any complaints from this subscription, aside from the fact that at times I miss a box and then get two at once. I think this only happens with Whimseybox’s Canada Shipping times. 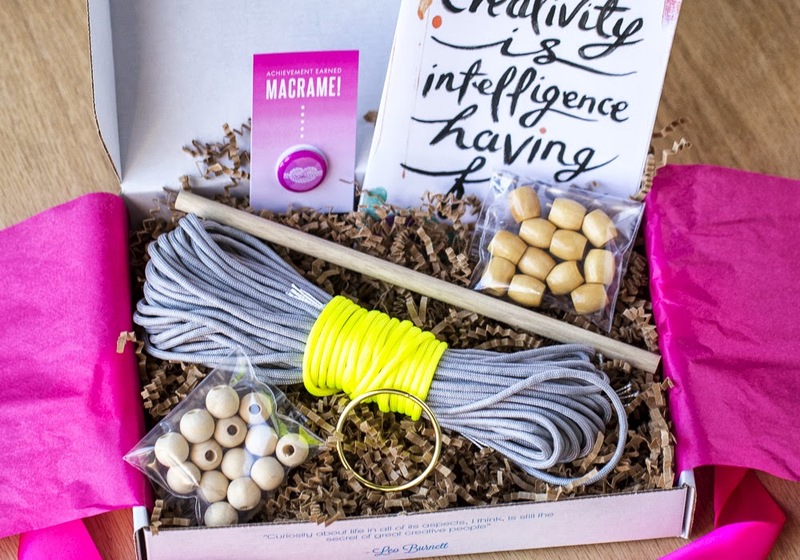 I have taught myself to forget that I even have a subscription so that when I do get a box, its super exciting! If you know anyone that loves this kind of stuff, I think it is the perfect gift. They will always be reminded that it was you who got it for them. More points for you! Finally Back From my Unannounced Hiatus. Firstly, I would like to apologize for my absence over the past two months as well as my lack of posts over the months before that. I am finally finished school and am now a month into my internship (which I am loving!) I had such a great summer, I have tons of small projects I worked on that I will be sharing soon as well as new DIYs and workshops that will be coming up in the next few months or so. My latest DIY project were helping a friend with her bridal shower. 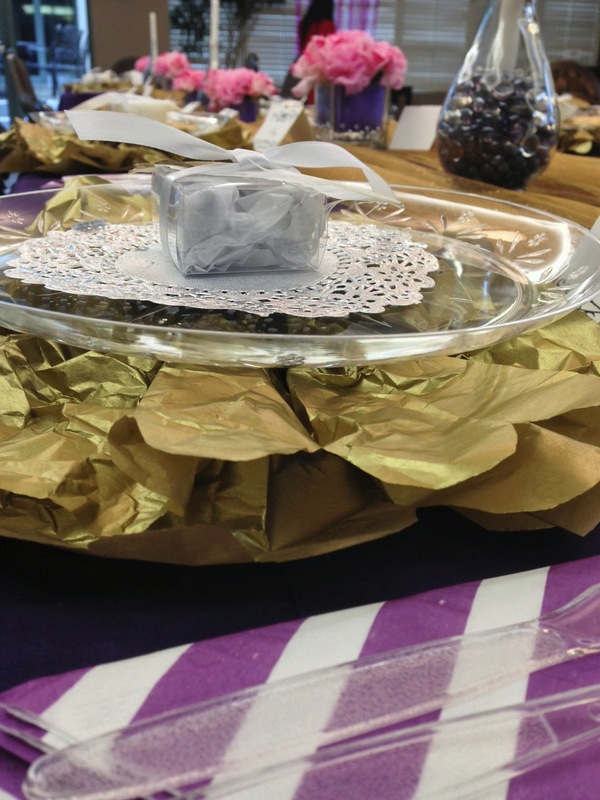 I think that there are tons of Bridal Shower DIY ideas that are easy to do and great for a budget. 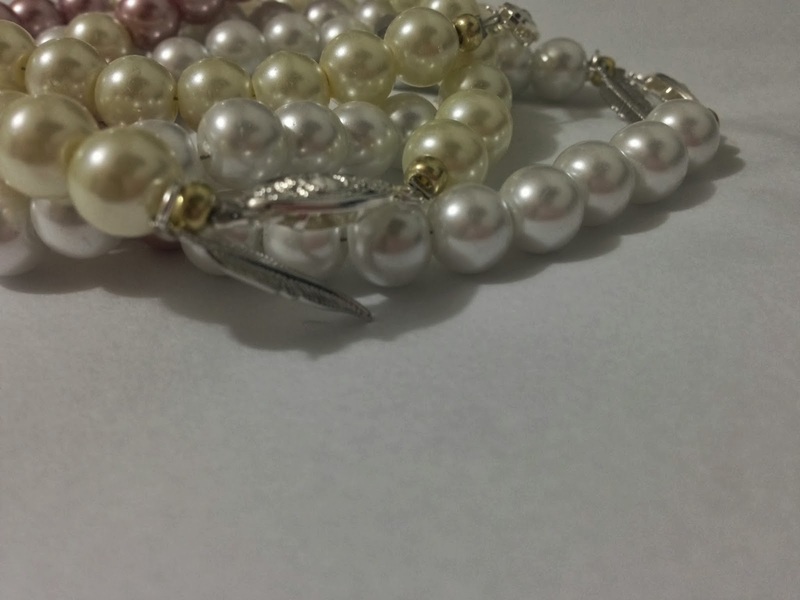 I made some do-it-yourself pearl bracelets as favours for a friend’s shower, I packaged them in a very cute way by wrapping them in white tissue paper, putting a them in clear plastic boxes, layering that with half of a four inch doily and some white ribbon. I garnished the top off with a white gold-tipped goose feather. 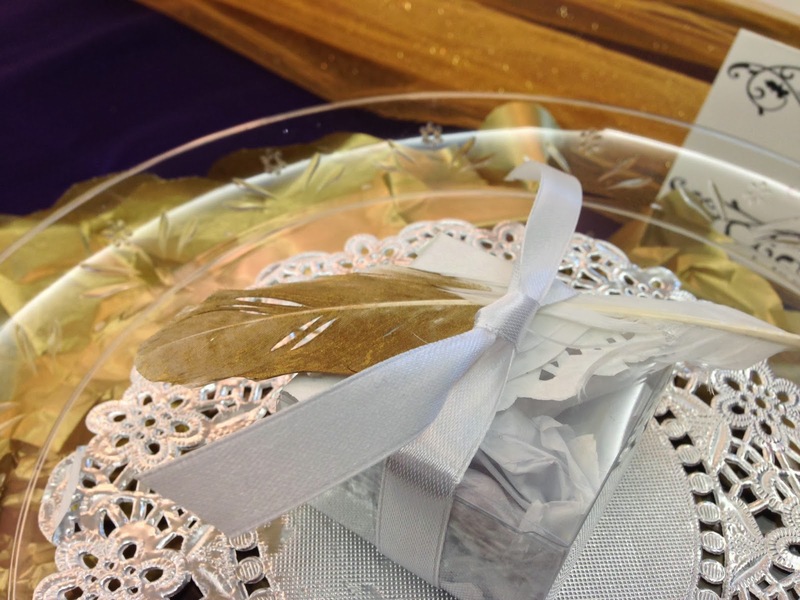 The gold-tipped feather was easy to make and there are two methods to do it. The first one is simple. Just take some gold paint or spray paint and paint the amount you want. If you are using spray paint then use some extra news paper to cover the part you don’t want gold. If you are using paint, do the same thing so you have the straight edge effect. You can also add gold glitter into the paint to create a shimmer. 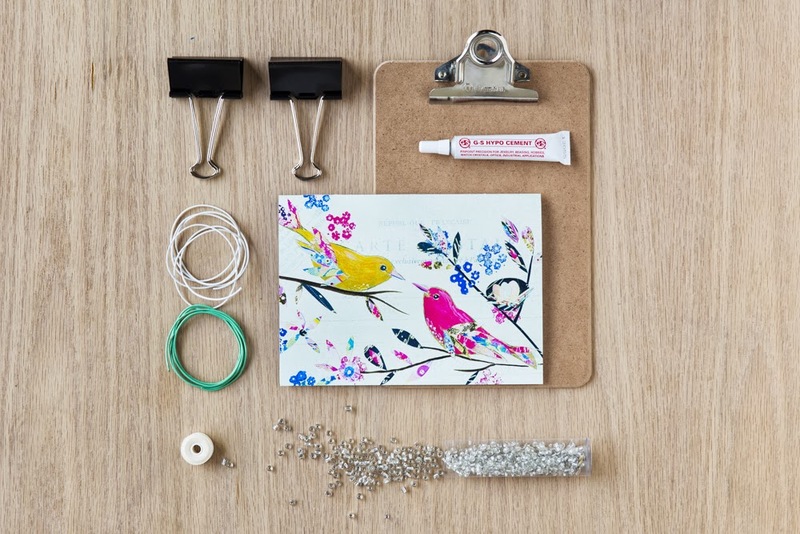 The second way to do this is to use gold embossing powder to gold-tip feathers. This will create a shinier, thicker gold coat and will look very luxurious. I used some Versamark ink and pressed my feather into it. 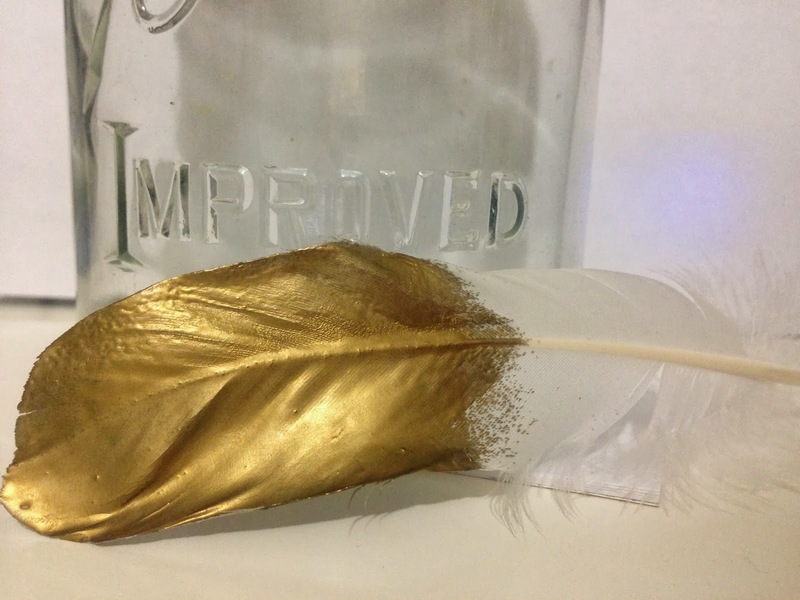 I sprinkled some gold embossing powder onto the wet part of the feather and used an embossing heat tool to melt it on. I had to do add a second layer of embossing powder to the make it a bit more opaque. This caused it to be thicker and well-covered, but you also lost some of the feather details. I would try and get a very good, even layer on the first time so that the feather’s details can be shown through. Promise to update regularly now! *I will be uploading better photos once I get them from a few friends, clearly I was too excited and eager to restart my blogging adventures by Oct. 1st!